Hispanics in Florida are diverse, powerful and political. Diverse, powerful and political, Hispanics in Florida are not easy to pigeonhole. » A middle-school Venezuelan-born studentin Coral Springs complains that speaking in Spanish gives him a headache. The oldest Cuban-born brother in a Miami family talks about how his younger siblings speak Spanish with an American accent. Yet, Hispanic parents in Miami say their Americanized kids suddenly boost their Spanish skills and mores when they fall for someone from a more recently arrived Latino family -- reverse acculturation. 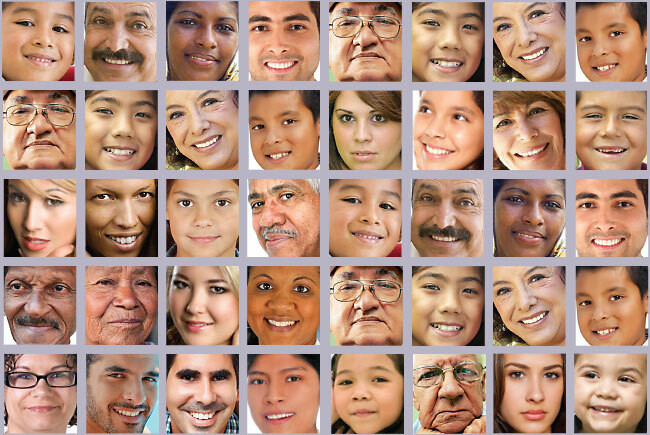 Experts are mixed about how well the standard melting-pot paradigm applies to Hispanics. The Pew Hispanic Center says Hispanics follow the path of earlier immigrant groups, with English use dominant by the third generation. A high of 61% of Hispanics in the first generation say they speak Spanish better than English; of the third generation, only around 2% report that their Spanish is better. However, there are indications that Hispanics have greater sticking power in culture and language than prior immigrant groups. Some 95% of Hispanics believe it's important for future Hispanic generation members to be able to speak Spanish (the U.S., after all, is the second-largest Spanish-speaking country after Mexico); a similarly high share, however, believe English is necessary to succeed. Market research firm Nielsen, in a 2012 report on the growth of the Hispanic market, says Hispanics are "the largest immigrant group to exhibit significant culture sustainability and are not disappearing into the American melting pot." Says Nielsen: "Borderless social networking, unprecedented exchange of goods, technology as a facilitator for cultural exchange, retro acculturation and new culture generation combine to enable Hispanic culture in the U.S. to be sustainable." » To state the obvious: Miami is a Latin city, and south Florida is a heavily Hispanic area, as are some rural counties. Parts of central Florida have a lot of Puerto Ricans. The rest of the state just has a minority of Hispanics, often times living in pockets. » Without Hispanics, Florida's population growth from 2000 to 2012 falls to 9.6%, rather than 17.6%. » Hispanics make up 13.9% of active registered voters in Florida -- 476,000 are registered Republicans and 645,000 are Democrats. Republicans saw a 7% increase in Hispanics registering for the GOP in Florida from the 2008 to 2012 general elections, but Democrats posted a 26% gain, according to Florida election records. Hispanics expressing no party affiliation increased 38%. Hispanics account for 11% of registered GOP voters, 13.5% of registered Democrats and 20% of no-party affiliation voters. Profiles of different groups include a look at Cubans, Puerto Ricans, Mexicans and Nicaraguans. » A quarter of a million Florida public school students fall into the "English language learner" designation -- foreign-born or from a household where English isn't spoken -- a number that has increased 27.8% over the last decade, according to the state Department of Education. Most of them -- 77% -- are Hispanic. Roughly one in four Hispanic students falls under the English language learner umbrella. » Florida's fastest-growing Hispanic nationality, percentage-wise, is one of the smallest, Uruguayans, up 259% from 2000. The slowest grower is the largest: Cubans, up 46%.